We introduce Chiba’s conference facilities, accommodation facilities and unique venues, transport information and attractions. In this video you can learn about the transportation from the airport, the convention facilities centered in the 4 areas (Chiba City, Narita City, Kisarazu City and Urayasu City) of the convention host cities, opinions of participants, and pre- and post-convention services (meals, nature trips, sightseeing, leisure, shopping). 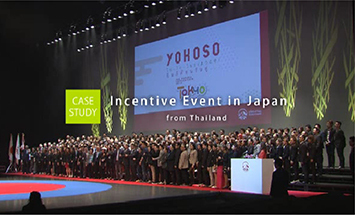 A Thailand company held a Top Sales Incentive Event in Chiba and gathered approx. 1,100 participants. 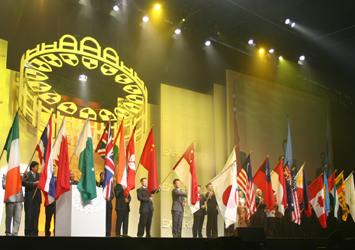 Please contact us for brochures and the DVD.